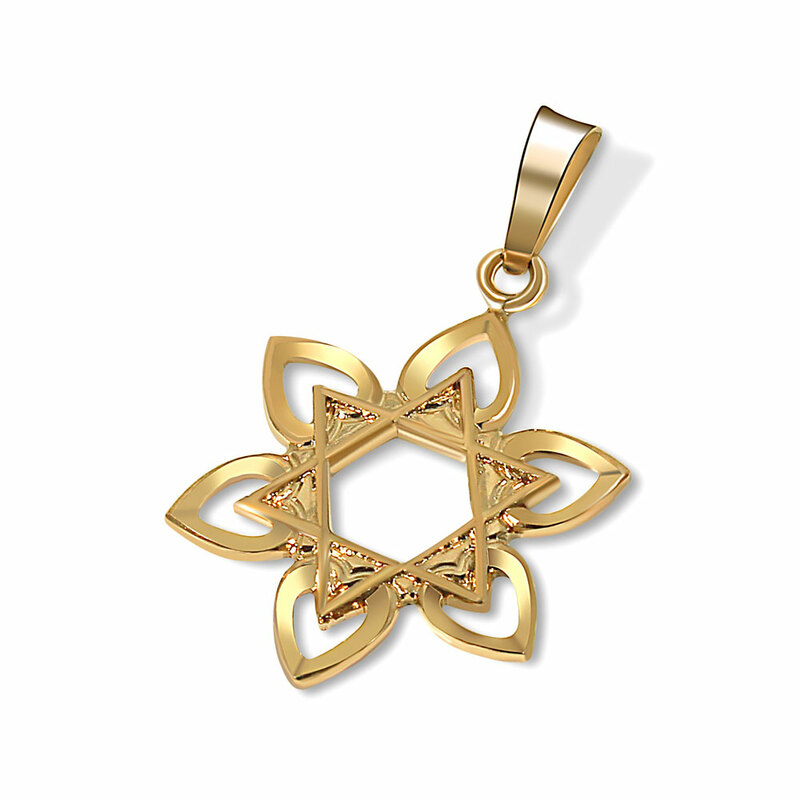 14K gold star of David pendant - Flower design with hearts. Beautiful workmanship, made in the USA. Available in 2 sizes, see item options.To add a chain along with this pendant see the options below.